Drew this just for the kicks (and testing out inking with a brush)! I never had a fascination for big bikes, but this was an interesting subject at an interesting angle. 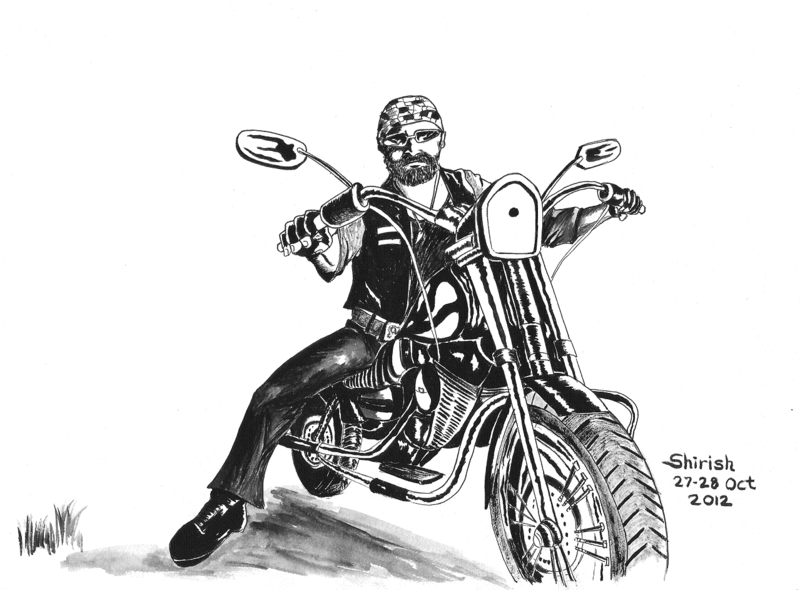 Drawn using pigma micron pens and black ink applies using brushes. They are the stealth warriors of the modern warfare. The lurk in the shadows and in difficult to reach places. 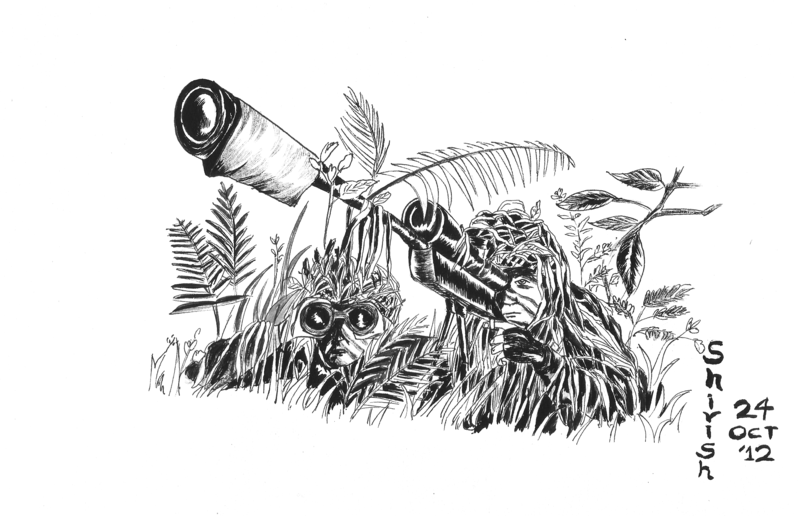 They patiently wait for their targets, and then hit them lethally from miles away. They wage a psychological war on their enemies, frustrating them, keeping them on their toes. They are the stuff enemy’s nightmare are made of. 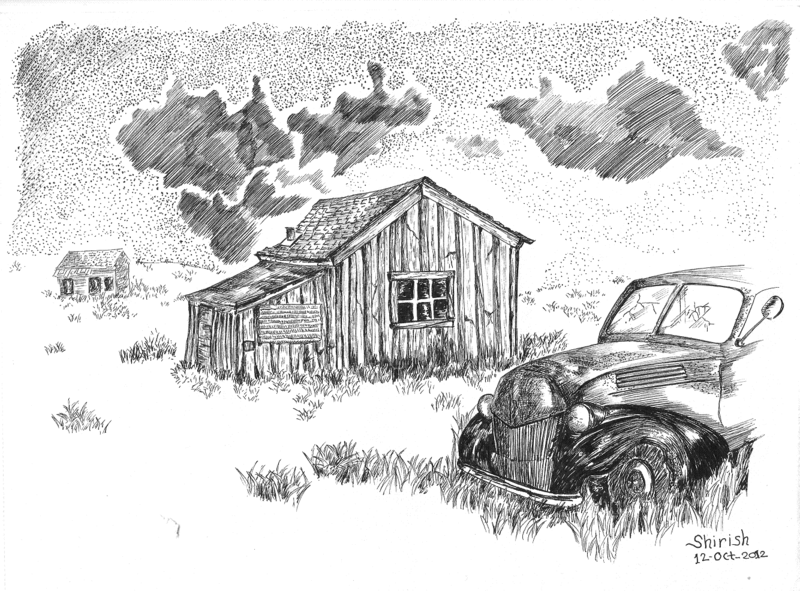 Drew this using pigma micron pens and applied shades using Daler Rowny artists’ black ink using a #0 brush. 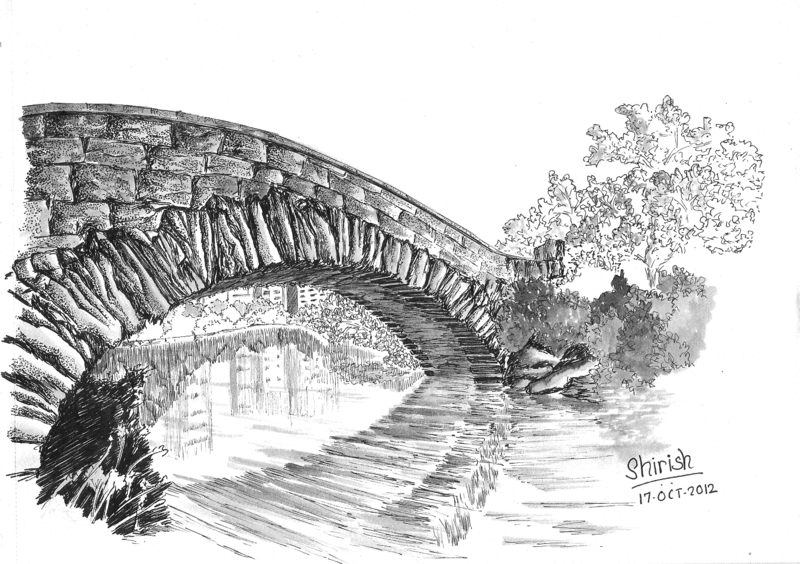 This picture is based on a photo I saw on G+ of a stone bridge near a city. It’s not an exact replica of the photo, but pretty inspired by it. Done using Sakura Pigma fine point pens and ink washes using brush. I recently saw some photos of a ghost town (an old town abandoned since few years) on a social networking site (https://plus.google.com/+JeffreySullivan/posts). The photos were a dream come true for someone looking for great texture references. I combined a few of these images to create this composition. Sakura Pigma fine point pens on smooth paper. Yesterday night I came home dead tired and with a pounding headache. I decided to sketch for a few minutes and did not realize how fast the tiredness disappeared! I must have sketched for 30-40 mins. I completed some minor details today during the lunch break. 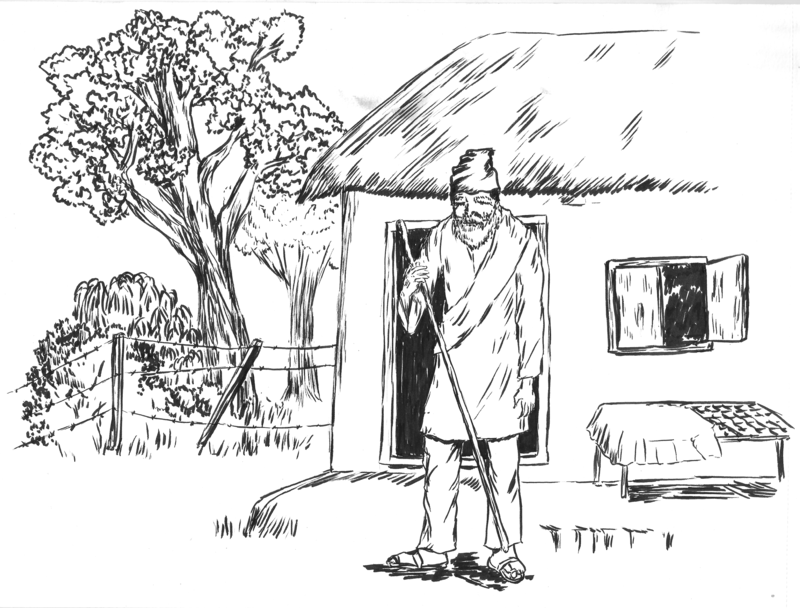 Old man by his hut, a brush pen sketch. The festival of Holi brings about the joy of dousing one’s friends with water and colors. 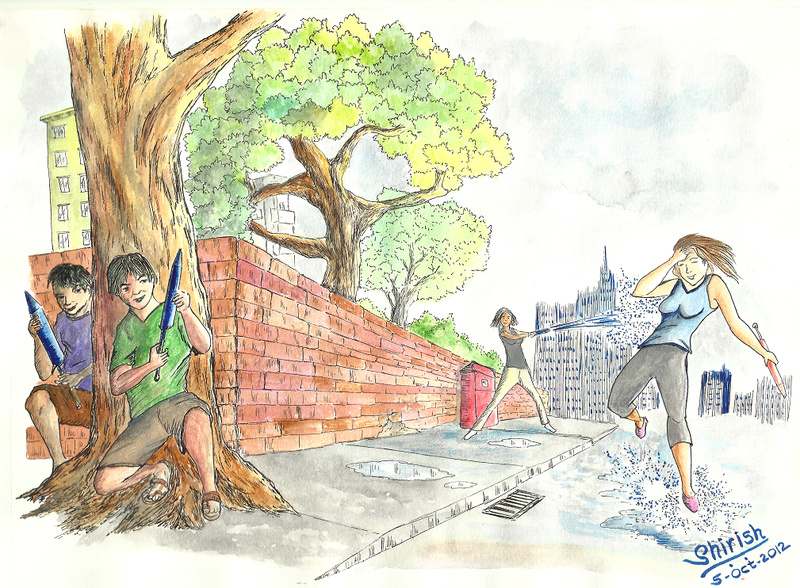 Here’s a pen, ink and watercolor sketch of the fun in action.